I saw my first Beavertail skiff on the Spanish Fly with Jose Wejebe. From that day I’ve seen them out fishing and at times at the ramp. 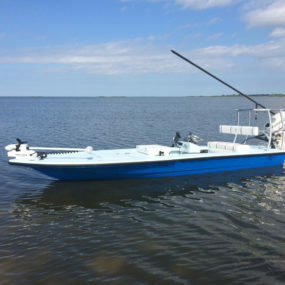 I always thought they would be out of reach for me but then the day came when I could purchase a new skiff. There was just one boat builder to consider, Beavertail! When I called , Liz Leslie answered the phone. 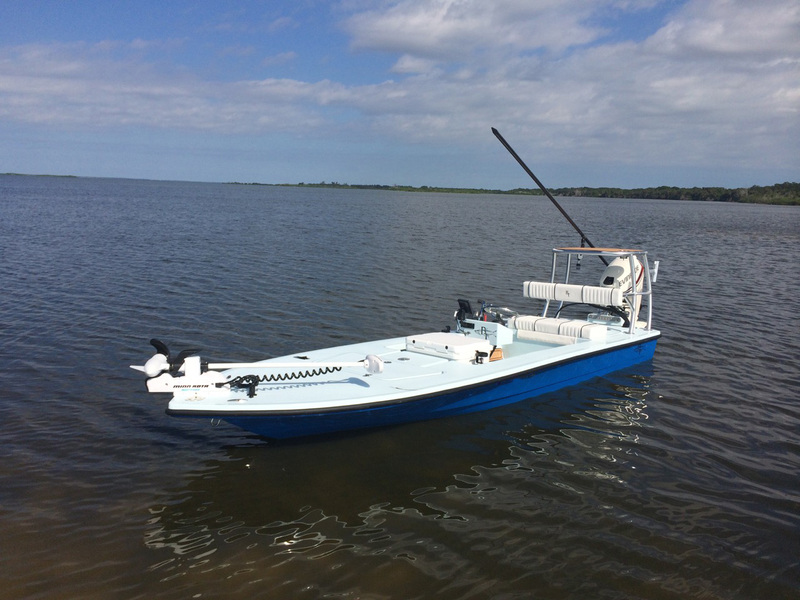 We talked and she clearly explained the process as this was my first new custom made skiff. I then asked if I would be able to test drive one, so she invited me over to tour their facility and drive her personal BT Micro. Myself, a friend and our mutts arrived and Liz was there to greet us. She introduced us to her husband Will then gave me a tour of their facility explaining the build process. Then Will and myself went for the test drive. Never once did they try and push the deal but allowed me to decide for myself. I was sold! We sat down and discussed how the performance of the Micro fit my style of fishing. My build was underway. They sent me lots of pics of my skiff as she was being built. The day came for me to pick her up and I was beyond excited. Both Liz and Will were there to hand her over to me, shake my hand, take pics and welcome me to the Beavertail family. An experience I will not soon forget. 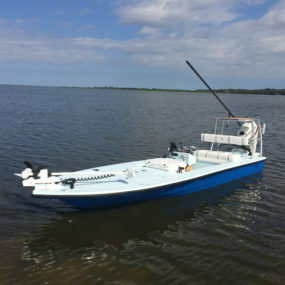 Liz and Will were so accommodating with all the phone calls, e-mails, changes with the color and options as I fitted my boat for my style of fishing. I primarily site fishing for Reds, Snook and Trout in about one foot of water or less in the Mosquito Lagoon and Indian River. I have seen Reds with their backs out of the water on the shoreline just waiting to nail anything that comes by. There is nothing better than casting at a Red, watching it slam your lure and take off like a bat outta hell! I have had people on the casting platform asking me why I’m not fishing? I get just as much a rush outta watching someone else catch a fish then myself. I can run my Micro in a foot of water wide open and not touch or harm the vegetation on the bottom. I also have the ability with the jack plate to pull the hole shot to get out of the flats as quick as i got in. Making more time for fishing than running. I have polled it in less than four inches of water by myself loaded up. On the other hand on a calm day I could run a mile offshore, pull up a couple snapper or cobia then come back in and hit the flats. 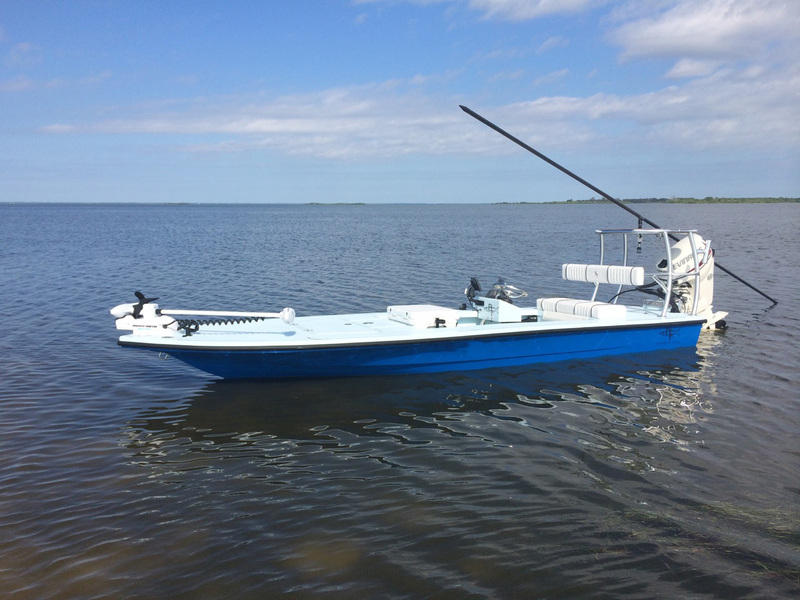 The BT Micro is a perfect one or two person skiff. I can launch it in less than a minute and load it up on the trailer and be out by myself in the same. The Beavertail Micro is truly a skinny water flats fishing machine! On a conservation note please be aware of were you are on the flats, your depth and prop. Every time I’m out I see someone plowing their boat into the flats then realize they’re stuck. Then turn back in another direction and plow their way out. When this happens it kills the vegetation,then no bait fish,no crabs thus no fish to catch. Please be kind! Catch and release as much as possible.